Evangeline Scott was hoping for a fun night on the town after a hellish day. What she couldn't have imagined was getting kidnapped by alien slavers and then left to die on an abandoned ship. Kai Dallen and Roan Quinn were having some bad luck of their own when they found themselves set up by an old adversary and trapped in the vault of a Dhuaation Pharaoh's ship with no way out. When Khaman-Ra makes them an offer they can't refuse, the two space pirates end up rescuing a ship full of human female cargo. All three males are immediately drawn to one of the beauties and make an agreement to satisfy everyone's desires. The only problem is, they didn't think to ask Eve and when she wakes up to find that she's now married to three aliens she's mad as hell. By the time all four of them realise their true feelings, will it be too late, as a woman from Roan's past threatens to ruin it all? Sarah Marsh was born in British Columbia where she still lives, she has only recently began her writing career finding it the perfect outlet for taking the edge off a nine to five office job.  She’s been a science fiction and romance junkie for years and when her imagination started to take the characters she’d read about even further in their adventures she decided to try writing something of her own. Sarah’s also a former pastry chef and spends a lot of time cooking and baking for friends and family as well as painting and knitting. Her biggest weakness is animals of any kind, she loves a happy ending. Sarah Marsh will be awarding a $15 Amazon or Barnes and Noble GC to a randomly drawn winner via rafflecopter during the tour! I like it when I find and meet a new writer. I have 2 books in this series to read so I can read this one. Hello Mai, I haven't been to any conferences as of yet. My first book was only published in December of last year so its been a bit of a whirlwind getting all the social media sorted while still trying to work full time and write. I also live in British Columbia, so we don't seem to have as many up here. Looks like I'll have to take a few trips! That's an attention getting cover. Lol, thanks Mary. I honestly didn't really have any ideas on what I was looking for in a cover when I submitted the first in this series to the publisher, Harris Channing created the cover art for me and I love her work! I enjoy reading new to me author's books ! 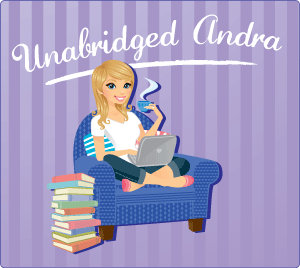 Thank you so much to Unabridged Andra's for hosting me today! I am not able to be online all day but will be checking in periodically to answer any questions you may have about the book or the series! Thanks Victoria, I hope you enjoy it! Being a pastry chef is impressive. I bet your desserts are to die for. I enjoyed reading the excerpt. This book sounds like such an interesting read!